Procrastination. Disorganization. Distractibility. Millions of adults have long considered these the hallmarks of a lack of self-discipline. But for many, these and other problems in school, at work and in social relationships are actually symptoms of an inborn neurological problem: ADD, or Attention Deficit Disorder. Through vivid stories of their patients' experiences, Drs. Hallowell and Ratey now offer a comprehensive overview of one of the most controversial psychiatric diagnoses of our day. They show the varied forms ADD takes -- and the transforming impact of precise diagnosis and treatment. And, as successful professionals who are both living with ADD, they extend a message of hope and compassion to all listeners struggling with ADD in their own lives or in the lives of loved ones. An enlightening exploration of a condition only recently identified, Driven To Distraction is a must for everyone intrigued by the workings of the human mind. Edward M. Hallowell, MD, is the founder of the Hallowell Center for Cognitive and Emotional Healt and was a senior lecturer at Harvard Medical School. 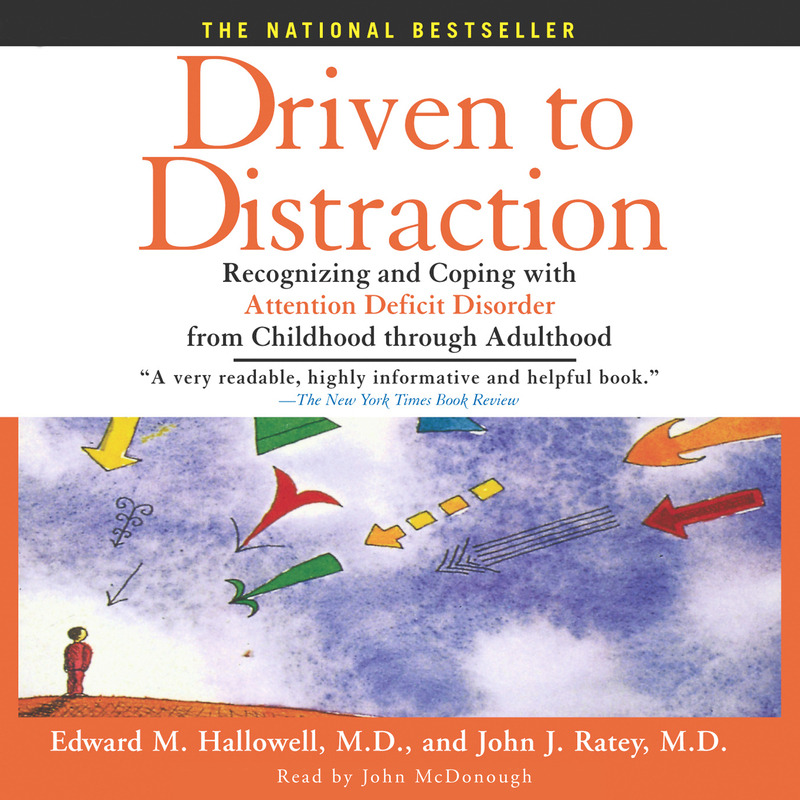 A world-renowned ADHD expert, is the New York Times bestselling author of over ten books, including Driven to Distraction and Delivered from Distraction. He has made appearances on The Dr. Oz Show, Today, and many other programs. He lives in Massachusetts. Find out more at DrHallowell.com.